Spring is in the air and it’s time to dust off your golf clubs and head to the driving range as golf season is upon us. In Central New York our golf season can sometimes be abbreviated so don’t waste any time getting out on the fairway! Cayuga County is a golfer’s paradise with 12 golf courses that run the gamut from those with the country club style full service clubhouses to the very casual. 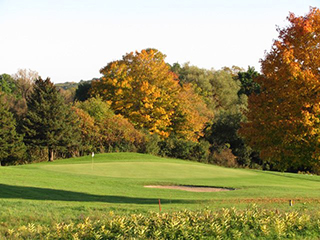 All offer very reasonable greens fees and a chance to take in the beauty of the Finger Lakes. Here is a sampling of beautiful and sometimes challenging courses to try. With a large dairy farm just across the street you know that you are really in the country when you play at Dutch Hollow Country Club in Owasco, just south of Auburn. Water comes into play on eight holes and the golf course climbs up and down hills and crosses creeks and wetlands, creating some interesting and exciting holes! Highland Park Golf Course in Auburn is known to be one of the most challenging and best-conditioned golf courses in central New York. The front nine was built in 1925, while the back nine, designed by Geoffrey Cornish, was added in 1969 and features some tricky rolling greens as well as a few ups and downs. Still, the course is walkable and many golfers do. 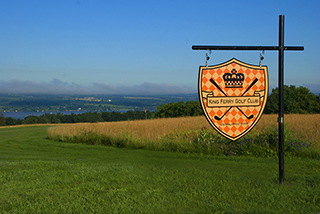 Lakeview Golf & Country Club is an 18-hole par 70 public golf course offering a spectacular view of Owasco Lake. The course opened in 1916 and includes a driving range, practice chipping and putting green, snack shack (on weekends) and fully stocked golf shop. The Wells College campus in beautiful Aurora is home to a meticulously maintained 9-hole golf facility, including a clubhouse with a snack bar and grill, a large outside deck and pro shop. This golf course dates from 1923 when it was only a six –hole course. 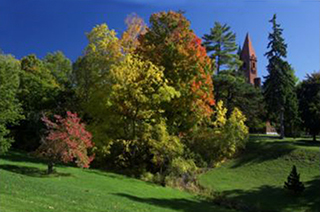 In the 1960s, renowned golf architect Robert Trent Jones, the husband of a Wells alumna, redesigned several of the holes on this picturesque golf course. For a full list of golf courses in Cayuga County, visit: http://tourcayuga.com/attractions/public-golf-courses.